Great for your next fancy soiree or tailgate! Pop a few of these babies into your mouth (not at the same time, unless you’re a professional), and then laugh a little inside as you log only 42 calories (and 1 Weight Watchers Points Plus) in each one. Bwahahahahaha. Nobody will ever know! Super-duper easy and great for every occasion! 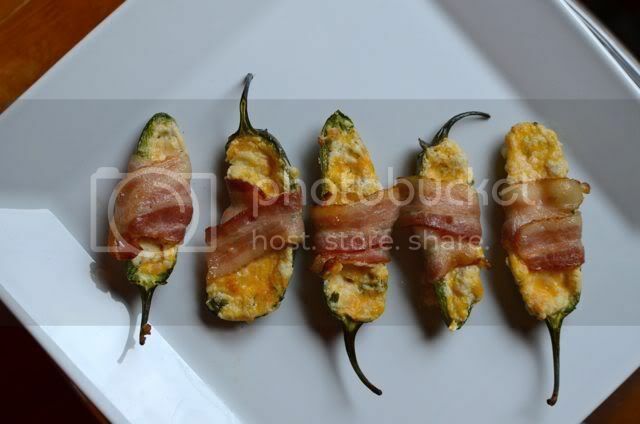 Whip up these delicious, skinny jalapeño poppers for your next party, and you'll be a hero. Cut peppers in half lengthwise and remove seeds. Do NOT touch your eyes, nose, or mouth. Or anyone else's for that matter! Mix cream cheese, cheddar, and onions together in a small bowl until smooth. Scoop approximately 1 TBSP of cheese mixture into the each hollowed out pepper. 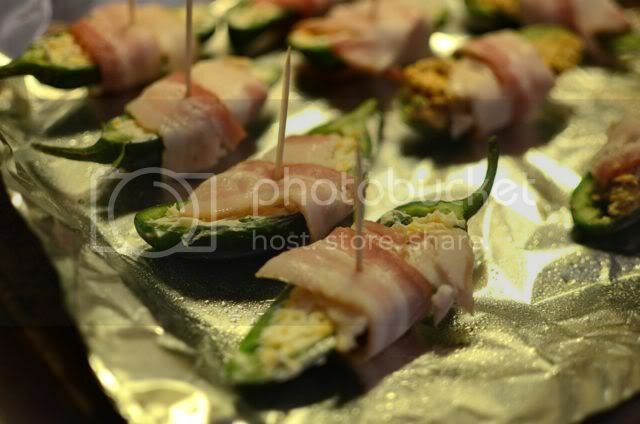 Cut each bacon strip in half, and wrap once around bacon with the ends resting on the top of the filled pepper. Use a toothpick to secure if necessary, but the bacon will usually stick together nicely. Bake at 450 for 14-15 minutes or until bacon is crisp. For the love of all that is holy, do not touch your eyes after cutting jalapeno peppers. I usually try to wear a pair of gloves to keep my fingers clear of the pepper oil. Like things even spicier? Use pepper jack in place of the cheddar. Hi! This looks yum! Do you know how many SmartPoints this is? Thanks!